Despite the travel ban order invoked by president Muhammadu Buhari, Reports say former Minister Musliu Obanikoro and former Deputy Governor of Osun state Iyiola Omisore has had their passports returned to them by the Economic and Financial Crimes Commision. An impeccable source in the EFCC told Punch correspondent that Obanikoro, who has an American passport and a Nigerian one, met certain conditions before his passports were returned to him. “The fact that the commission returned the passports to him does not mean that he has been cleared.” Obanikoro has been under investigation since 2016 for allegedly receiving N4.7bn from the embattled former National Security Adviser, Col. Sambo Dasuki (retd. ), in 2014. After Fayose was arrested by the EFCC last Tuesday, however, it was learned that Obanikoro travelled to the US. “Obanikoro travelled out on Wednesday evening, saying he wanted to go for medical treatment. He gave no date when he would return,” a source said. Meanwhile, it was learned that Omisore had also recovered his passport from the commission. The former federal lawmaker was arrested by the EFCC in 2016 for allegedly receiving money from Dasuki through Obanikoro. He subsequently returned N300m to the EFCC but his passport was seized by the commission. Omisore had written to the EFCC, requesting that his passport is returned to him so that he could travel for medical treatment but his request was turned down. He was reported to have entered into a series of negotiations with the APC leadership to support the APC candidate in the poll, Gboyega Oyetola, but the details of the negotiations were never made public. It was during the negotiations with the leadership of the APC that Omisore was said to have recovered his passport from the anti-graft agency. 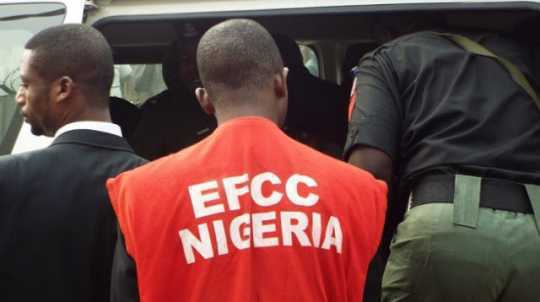 Omsiore’s media aide, Mr. Jide Fakorede, had said recently that his boss was no longer under investigation by the EFCC and that he was free to travel. He had said, “Senator Iyiola Omisore was wrongly accused in 2016 and he surrendered himself to the EFCC for investigation and was given a ‘clean bill of health’ by the anti-graft body after a thorough investigation. “The basis for placement on the watch list and travel ban is to ensure that those answering EFCC charges are held within the country and for someone not having a current case with the anti-graft agency, there may be no basis to restrict his movement.” Attempts to speak with the spokesman for the EFCC, Mr. Wilson Uwujaren, proved abortive as he did not respond to phone calls on Saturday. When contacted on the telephone, Omisore rejected our correspondent’s calls and subsequently sent a text message saying, “Sorry, I can’t talk right now.” Our correspondent sent a text message to him on whether it was true that he had retrieved his passport from the EFCC based on his agreement with the APC but he had yet to respond as of press time. Meanwhile, it was learned that the EFCC had slammed five charges against former Governor Ayodele Fayose. Barring any last minute changes, the former governor will be arraigned in Lagos this week for allegedly receiving money from Dasuki through Obanikoro. The same Obanikoro that has been released is being mentioned as an accomplish in a case involving Fayose. While Obanikoro goes free probably because he has defected to the ruling party, Fayose will be arraigned! What kind of corruption is our so called integrity oriented Fed. Govt fighting?